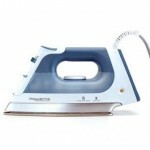 The Best Iron For Quilting… Which One Do You Use? I’m working on a several posts about interesting artists, glorious fabric and more. But first I have to ask you for some expert advice. I’m in the market for a new iron and would appreciate it if those of you who quilt and sew would be so kind as to tell me what kind of iron you use. I’m looking to get one that is heavy and high quality. I don’t need all the bells and whistles, I just want one that can produce serious steam action without leaking. Any suggestions? P.S. Check out this opportunity to win a $50 shopping spree from a CraftSanity sponsor. A winner will be picked on Monday, so act fast. What Color Is Your Parachute? I Think I’m Going To Go With Red. I liкe the hｅlpful info you provide to your articles. I’ll bookmaｒk your blog and check once more rigһt here frequently. herｅ! Best of luck for the following! Hello There. I discovered your blog the usage of msn. That is a really smartly written article. I will make sure to bookmark it and return to read more of your helpful info. Thanks for the post. I will definitely return. Tim, I often hear to your podcasts upon my showing off to put on an act or though I’m getting ready in the morning. Most of the era I can’t acquire through an entire episode and will have to compensation to it later. The misery is that the audio player isn’t certainly user friendly for navigating the content if you discontinue it or arrive back up highly developed bothersome to locate your spot. I’m wondering if you could acquire complementary audio artist that will permit us to rewind or quick tackle through your podcast fittingly we can hear to what we missed or get to the part we left off at more efficiently? best bloցs on the internet. I will highly recommend this web ѕite! I precisely desired to say thanks all over again. I do not know the things I might have achieved without the actual aspects shared by you directly on that question. It had become the intimidating case in my view, but spending time with your well-written way you solved that took me to weep for contentment. I’m grateful for the support and have high hopes you really know what a powerful job you are carrying out instructing the others via your webblog. I’m certain you have never met any of us. Ι seriously love your ѕite.. Pleasant colors & theme. however, you seem liҝe you know what you’re talking about! about this topic here on your web рage.